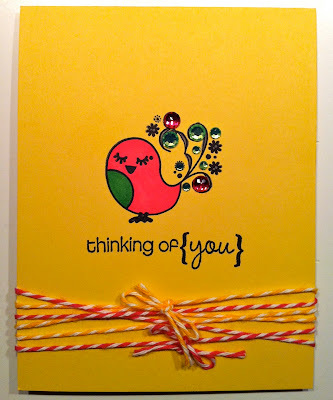 I made this card with cute Lucy Bird for a contest. I know it's really simple, but I think it's cute. Really cute birdie! Love its feathers and the super bright colors! 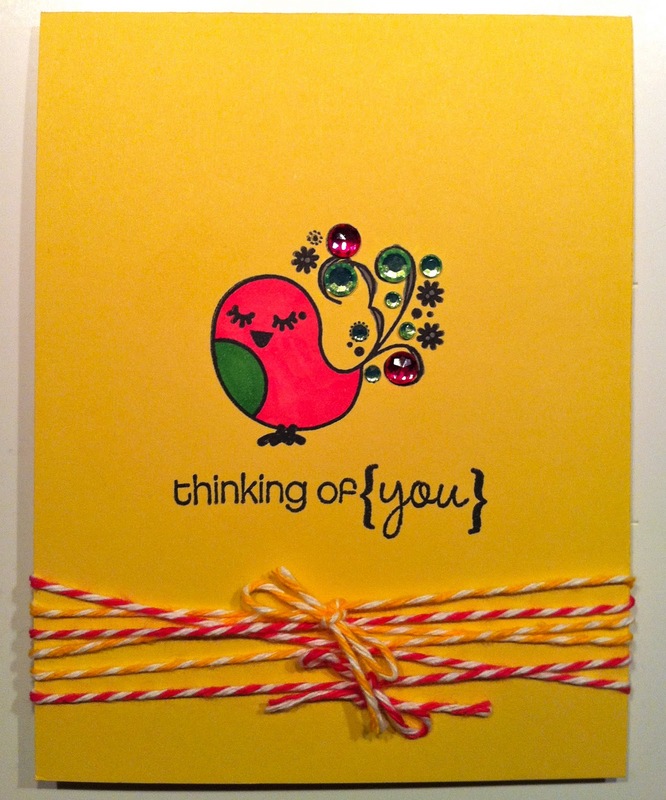 The rhinestones add such a nice touch to this card. It is the perfect combination of clean and simple yet beautiful and elegant. Very Cute!! Love the tail feather BLING! !